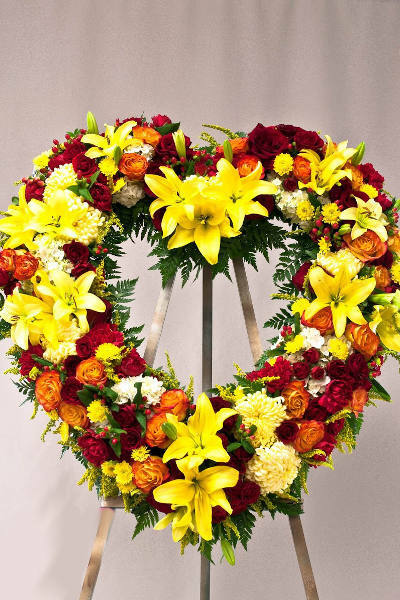 Floral heart created for the funeral or memorial service presented on a standing easel. Floral heart created for the funeral or memorial service presented on a standing easel. Choose Traditional style or Modern style. The pictures shown are concept only. You are not buying the item precisely as it is shown, rather the picture will give an idea of size, shape and general idea of the item. Babylon Floral designers will create each order in a unique and beautiful way.